This research team has indeed made a great discovery – they discovered how to raise $15,000 in no time flat. And the great thing about this device – it’s not like any dog will step forward and contest the ‘mind reading’ abilities of the device. With no independent way to verify what dogs think, you could make that devise say almost anything. To think of it, how do you say ‘we are all being played for fools’ in dog language? 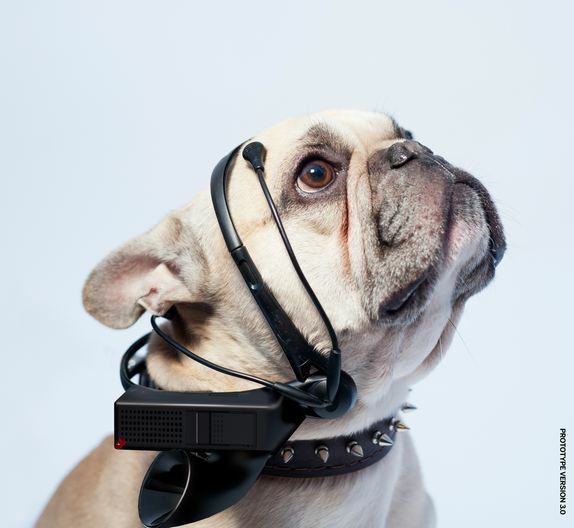 I just saw the movie “UP” this week….the dogs in the movie had a device like this….we were just commenting on how cool it would be to really know what our pups are thinking! Thanks!